Leonid Dzigansky is a front-end developer at the Astound Commerce Vinnytsia office. He has been fond of American football for more than 10 years and had the experience of training a team of children and women with flag football. He told him what he liked this sport and what he needed to become a good player. – Leonid, how do you admire American football? Where did it all begin? I am engaged in sports all my life: I was fascinated by American football with boxing, wrestling, running and just going to the gym. In June 2009, there was a desire to be part of something special: to play either in American football or in baseball. Why am American games? I do not even imagine. Probably, I just wanted to radically change something. As often happens, just think about it – and you begin to notice what you want around. In a few days I saw ads on the street. This was an invitation to join the Vinnitsa Wolf Team of American Football. So, already the tenth year I play in a team of friends and very important people for my life. Among them there are colleagues – two work in AstoundCommerce in Vinnitsa and one in Kiev. In general, there are more than ten players in the team – IT specialists. One of them brought me to the team. The rest have already played, or have come seeing an advertisement. – How long did you take the time to master the game? – Tell us what the peculiarities is to American football? What is it different from ordinary? American football requires a combination of different factors: strength, speed and intelligence. Each team prepares an attack, defense and special teams. On the field at the same time there are 11 people from each team. The game is very exhausting, and therefore you can change players for an unlimited number of times. The purpose of the attack is to put the ball into the opponent’s netting zone. Four attempts are made to carry the ball at least 10 yards. You can carry a ball in several ways: running or passing. If the ball enters the score zone, the team earns 6 points. After that you can earn additional 1-2 points from 5 yards to the opponent’s goal area. There are different groups of players in the attack team. Quoterbeek is the head of the attack that plays the ball. Line-up players protect the quoterbox and help racing players block the players. Usually these are strong and big guys. A running player is usually powerful and fast. Finally, the receivers – the players who take the ball, they are fast and must be able to catch the ball. In defense, everything is the same, but vice versa. Line-up players break through to stop the ball player as quickly as possible. The second line of defense is called line baker. Usually, the central line bayker is at the same time the head of defense. The task of linebacks is to stop the running player from the ball or react to the pass in the central, near-field zone. Cornerbacks try not to let the receivers play their game. Still in the team there is a safe – it’s universal players who act as the last line of defense. – In what role do you play in the team? I am a security guard, the central linebacker. This position requires speed, strength, vision, and quick reaction to change. My task is to stop the player running the ball as soon as possible and not allow the opponent to take the ball in the central zone. In recent years, I have played the role of captain of defense. It was a great honor for me to take this post from the best defense player – Sergey Perogonchuk. – What exactly do you like American football? – Do you participate in tournaments? What are some interesting achievements? 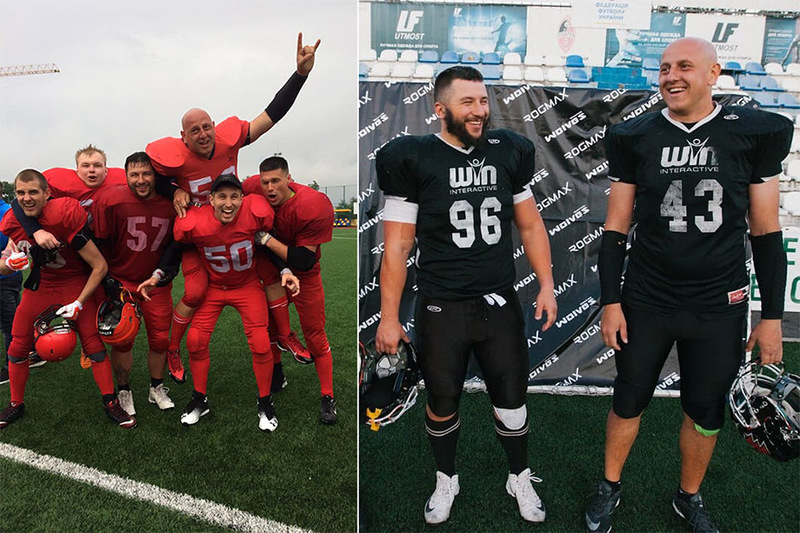 Each year our team of “Vinnytsia wolves” takes part in Ukrainian competitions on American football. The men’s team won 2nd place in the 2017 Championship. Girls are every year champions. Children also take 1-2 places. An interesting challenge was the Austrian tournament in 2018, where children 13-15 years old won the 2 nd place. I participated in their training sessions. In history, this is the first trip of the children’s team abroad. We saw what to go. – And how much in general is American football developed in Ukraine? American football is rapidly developing, but it needs a lot of efforts and resources for everyone who is already playing. For example, 10 years ago our club numbered up to 25 people, it was only an older male team. Today, up to 50 players in the men’s team, up to 15 in the women’s flag football team and up to 50 in the children’s teams of the three age categories. There are also two support groups, adults and children. In each – up to 20 girls. In addition, Vinnitsa has a referee team of up to 10 people. We are all friends, going to different events. For example, we donate blood, visit hospitals with children, gather for picnics in nature and joint games. 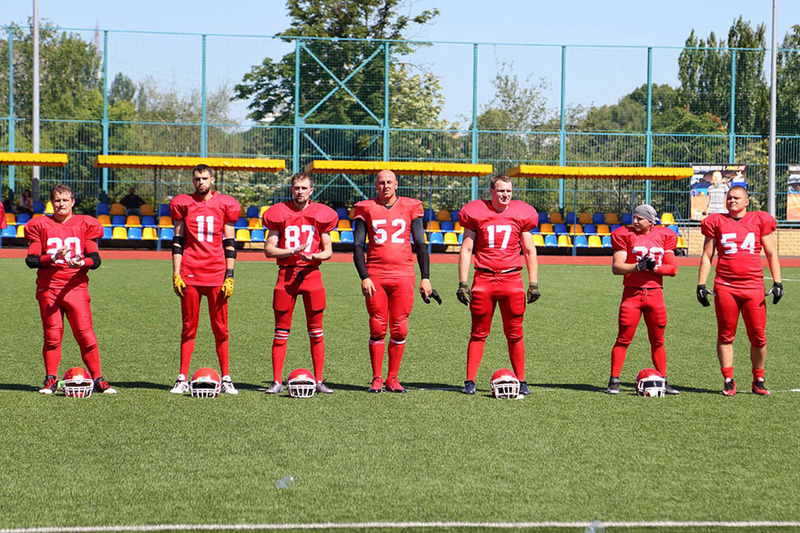 In general, at the annual championship of Ukraine there are usually 8-14 teams. There are approximately 25 teams in Ukraine. – How much time do you spend on your hobby? How do you combine sports with basic IT work? The company supports my hobby and even serves as the main sponsor of the children’s team. After all, the costs usually fall on the players, and in the case of children – on their parents. So AstoundCommerce helped with a trip to Austria and a form purchase. – And how much American football is an expensive sport? What are the costs? How much is the form, equipment? The player needs a helmet, skeleton, comfortable shoes and other protection. In total, this can cost $ 300. Other expenses go to the organization of games – you have to pay for the rental of the stadium, gym, to buy equipment for training. – In addition to training the children’s team, you worked with the women’s flag football team. What is the flag football different from classic American? Yes, there was a year when I helped girls with training and organization of processes. That was the time when they needed it. But now the girls are independent. They have a great coach-player Katerina Teteruk, who works great with motivation, training and play. Flag football is a non-contact version of American football. He is played on a smaller field, without a helmet and skeleton 5 × 5. Flags are suspended on the belt. To stop the player you need to break the check mark of the ball player. In flag football it is strictly forbidden to rude. The basis of the game – coherence and strategy. The goal is to earn more points than an opponent. – And the principles and approaches to training boys and girls are somewhat different? Yes, the training is different. To train boys you need more coaches, equipment and players themselves. However, there is a common ground: both for those and for those important skeleton, the soul of the team. When it is, everything else becomes the same. – What can you advise beginners? Where to start? What do you mean? No matter where, but be the best. Always work on yourself. It’s about sports, work, friendship, life – about everything. – Can anyone become a player? Are there any physical limitations? Of course, it’s easier to adapt to a person who already has an athletic experience. But this sport can enter any motivated person who is ready to work very much over himself. Weight and height make sense only for those who have learned to live with it. Love yourself as you are, and be able to use your strengths, and not make them flawed. – American football – a traumatic sport. 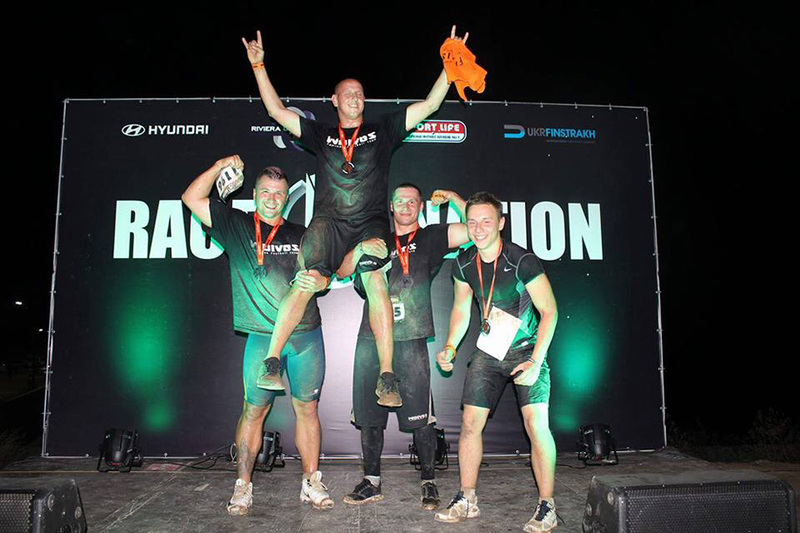 How to protect yourself from injuries? The next season promises to be very interesting. In March we will take part in the Monte Clark International tournament in Minsk. I will also play the legionnaire for the Polish team Wataha from the city of Zielona Gora. In my work, I have two skills that I plan to improve by autumn. My goal is to be better than myself today, and football will partly help me in this. One of the skills is English. In Poland, I will live with Americans, and the coach is also an American. Therefore, during the period of the game, I will have a wonderful communication practice. In the ULAF Flag Football Cup - 6 teams from 6 cities!